All playgrounds need to be maintained. Periodic playground maintenance checklists and playground inspections are highly recommended. 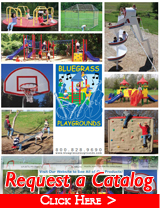 Moving playground parts such as swing parts, swing set hardware, swing hangers, galvanized swing chain, playground swing seats, cut proof belt seats and playground infant seats and other playground equipment parts often need to be replaced. Our full line of replacement residential and commercial swing set accessories , playground swings and equipment can be used on any commercial playground equipment, even if they are more than fifty years old. Swingset End- Frame Fitting for 3 1/2” + 2 3/8” O.D. pipe Toprails and pipe Legs. 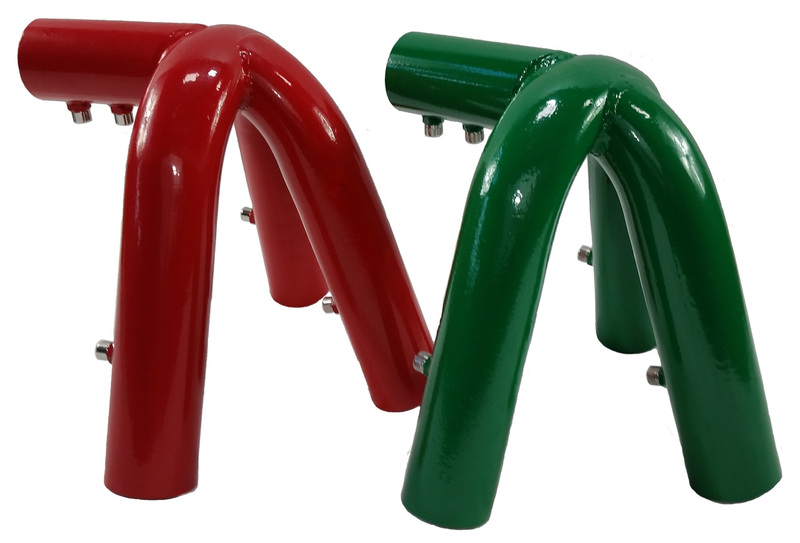 Choice of Red or Green , Heavy Duty, three-legged style End-Fitting for use to connect with 2 3/8” OD or 3 1/2” O.D. (Outside Diameter) galvanized pipe to make or repair a Swing Set. Each fitting comes with set screws which tighten to Schedule 40 style pipe which you supply. Swingset Middle- Frame Bi-pod Fitting for 3 1/2” + 2 3/8” O.D. pipe Toprails and pipe Legs. 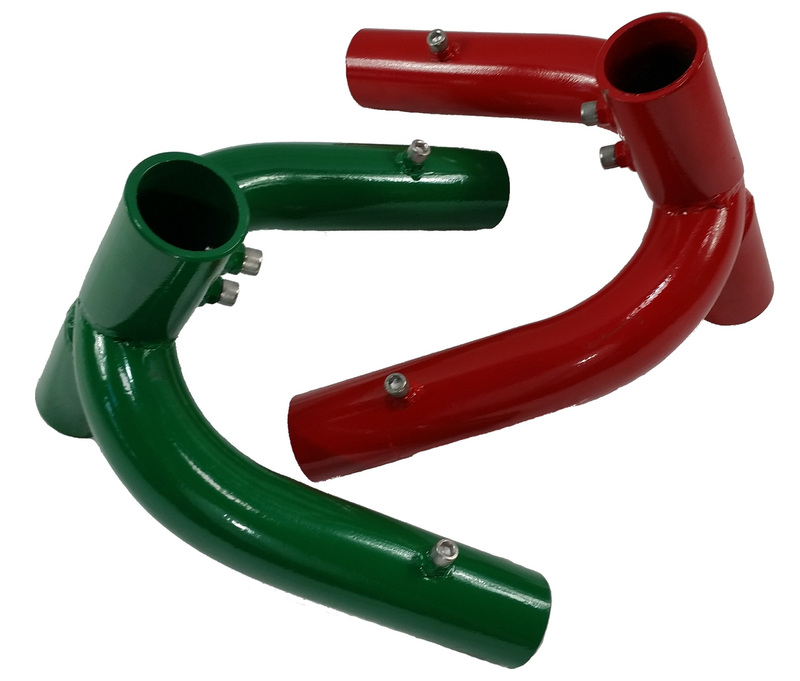 Choice of Red or Green , Heavy Duty, two-legged (Bi-pod) Middle Fitting for use to connect with 2 3/8” OD or 3 1/2” O.D. (Outside Diameter) galvanized pipe to make or repair a Swing Set. Each fitting comes with set screws which tighten to Schedule 40 style pipe which you supply. Middle fittings are ‘Bi-pod’ style which are use with the ‘Tri-pod’ style end Frame Fittings shown above. SINGLE Galvanized Clevis Shackles with 5/16” tamper proof bolt are an alternative to s-hooks and provide a secure, tamper-resistant connection. Use single clevis to connect chain to swing seats as an alternative to s-hooks and more. 1/2” opening. 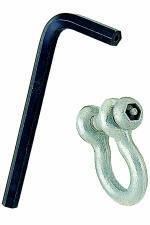 Tamper Proof Clevis key SH-41-175 needed. Sold separately. Minimum order charge applies to small orders. 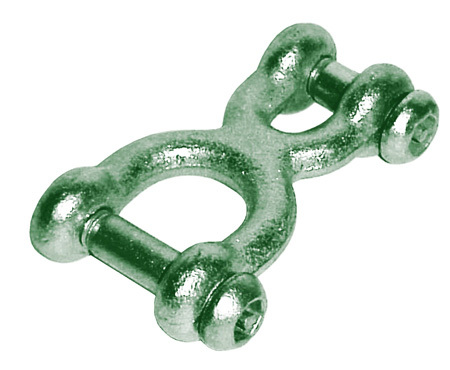 Double Galvanized Clevis H-Shackles are an alternative to s-hooks and provide a secure, tamper-resistant connection. Use double clevis to connect chain to swing hangers or chain to plastic tires. 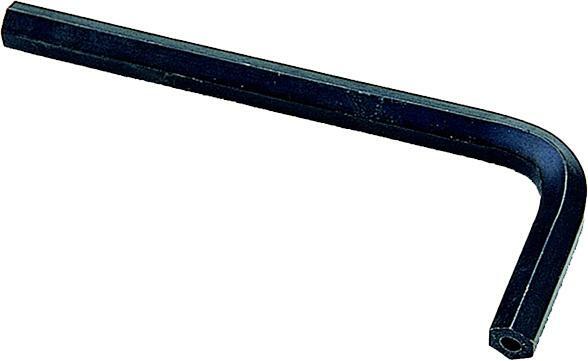 Tamper proof Clevis key SH-41-175 needed. Sold separately. 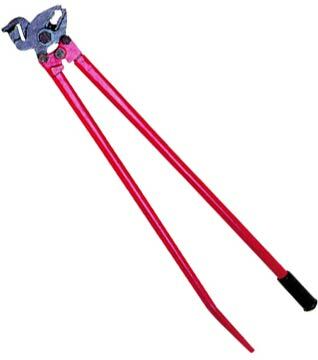 Special style Tamper Proof hex wrench With hole, for: #SH-40-170 and #SH-42-172 Clevis H-Shackles above. These Commercial Grade S-Hook Chain Tools make opening and closing S-hooks easy. They also make cutting chains a breeze. The tools have a Powder coated finish for added protection. Zinc Plated , Large-end 3/8" diameter by 4” long S-hook designed to fasten Swing Chain to Swing Hangers, and Swing seats. Minimum order charge applies to small orders.